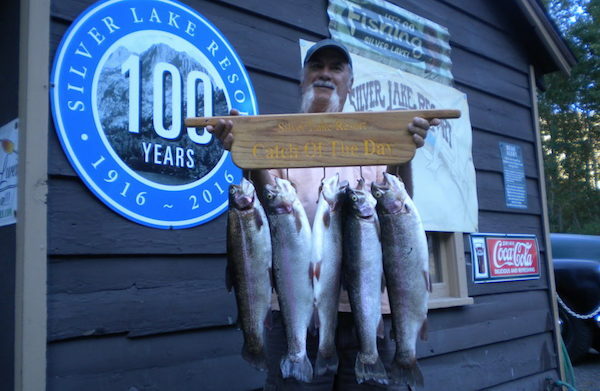 A Ton of Very Nice 3 to 7 Pound Rainbows. Fall is upon us here in the Eastern Sierra, as it can be a beautiful sunny day one second and a cold windy mess the next. That is Fall here in the beautiful High Sierra. 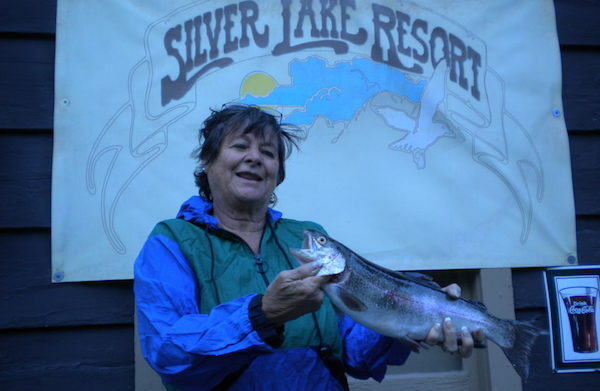 We had some pretty strong winds this past weekend that made fishing tough here at Silver Lake and ripped a lot of the Fall leaves right off the trees, but we did see some great catches here earlier in the week. As we talked about last week, DFW has not and will not be stocking Silver Lake the remainder of the year but we will be stocking it with Desert Springs Brute Rainbows like we did last week and again this coming week. 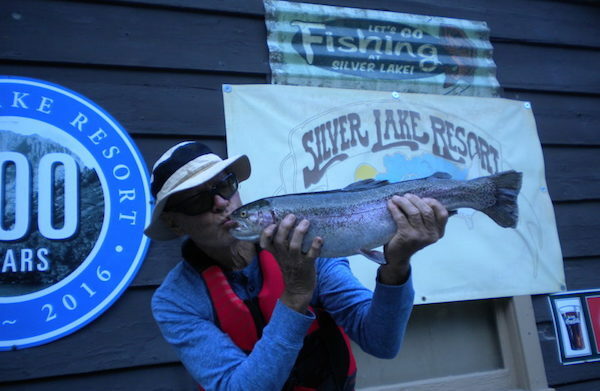 Which continues to mean we haven’t seen very many stringers of fish but we have seen a ton of very nice 3 to 7 pound Rainbows. Salmon Peach Power Bait seemed to be the magic ticket for some reason this past week and the ever steady Thomas Buoyant Gold/Red lure was working nicely out on the lake too. 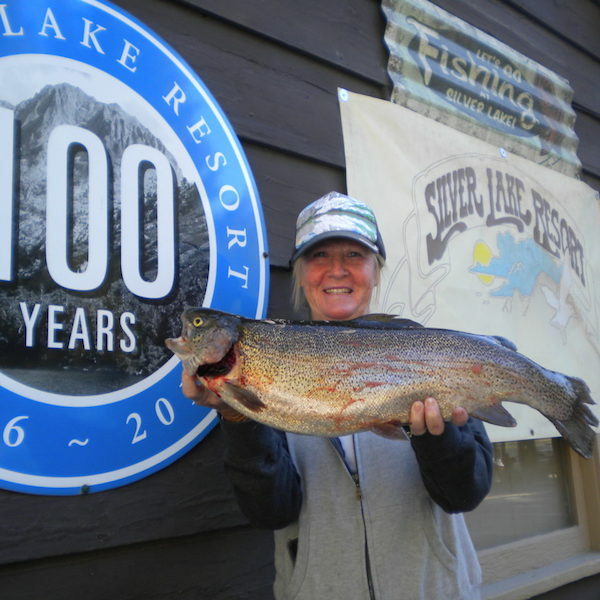 With two weeks left in the season here at Silver Lake Resort, your opportunity for some big catches, great breakfast and smiling faces is fading away as we start to think about wrapping up another very busy summer season here at the Resort. Fall colors are still spotty but keep an eye on Mono County Tourisms Facebook and website for daily updates on Fall colors throughout the region. It is a beautiful time of year here in the June Lake Loop. 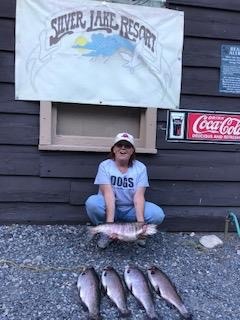 Seen a Ton of Very Nice 3 to 7 Pound Rainbows.